Bitsy is my angel, my baby, and the absolute joy of my life. She is my special pet, lives in the house, sleeps with her head on my pillow, and cries whenever I am gone. She has proven to be a wonderful mother and we have plans to get her show title later on. 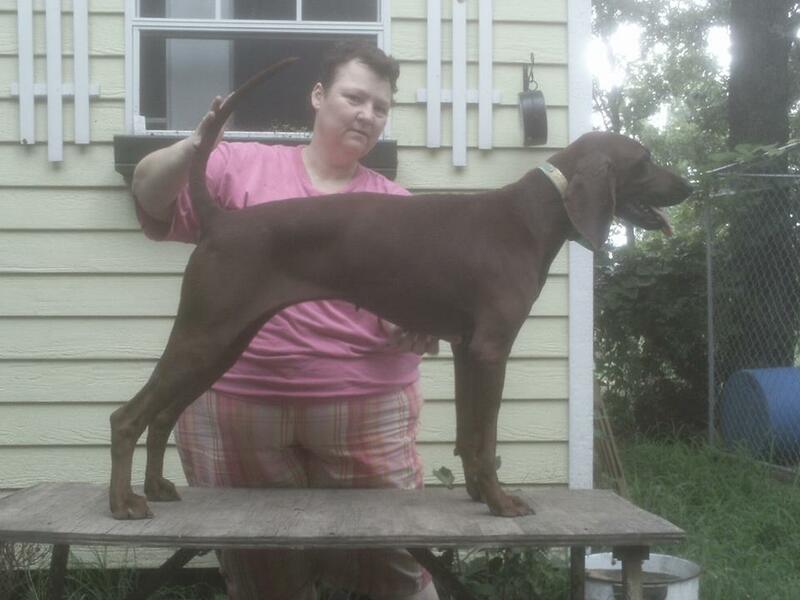 She has a very royal pedigree including double GRCH GRNITECH Outlaw Razor Red in fourth generation, as well as dogs like NITECH GRCH Tree Rizin' Deacon Does It, GRCH GRNITECH Outlaw Jesse James Jr., GRCH GRNITECH Outlaw Jesse James, and GRCH GRNITECH Outlaw Billy The Kid.